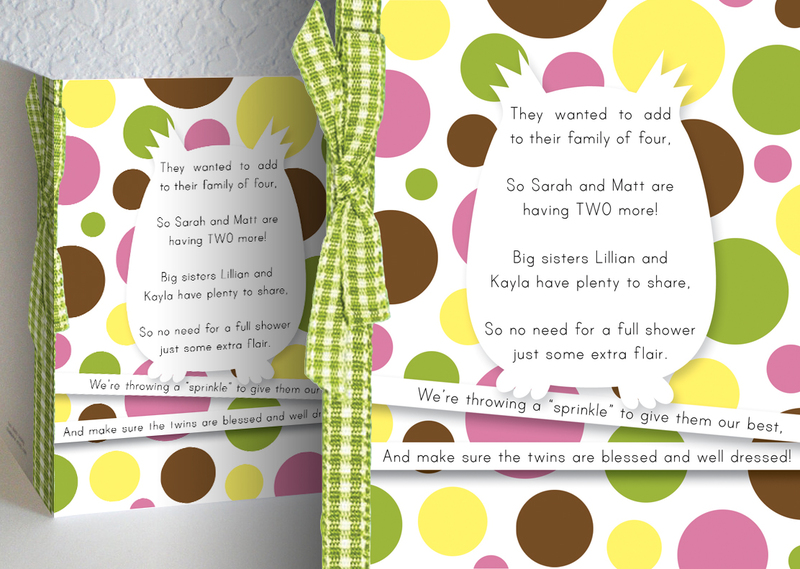 Kevin’s design handywork with my love of rhyming can make a great card! Click on this picture to see the poem & design work up close. 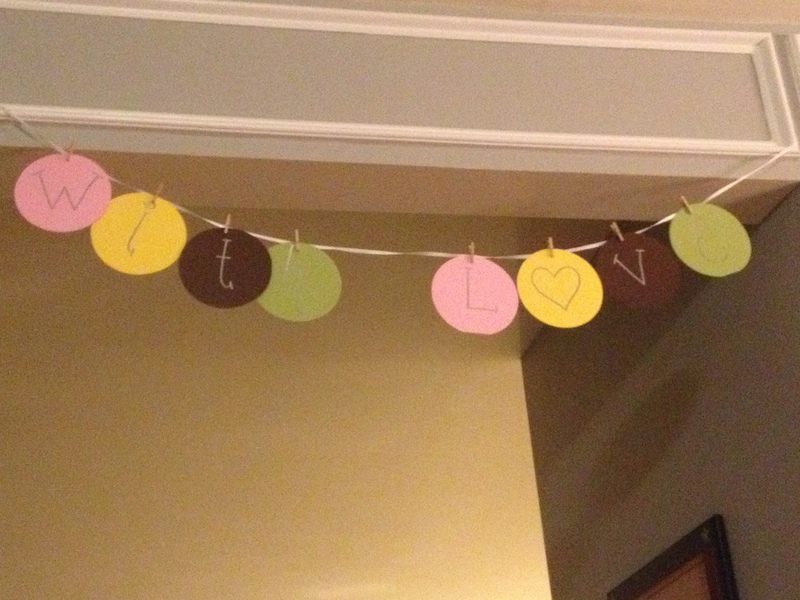 Sprinkled With Love garland. 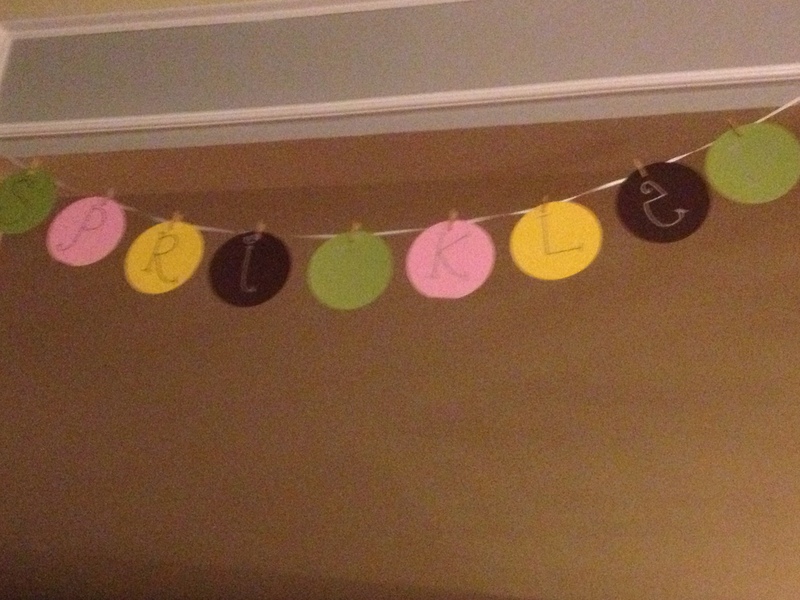 Made from scrapbook paper using a die-cut machine! Goody bag treats with lots of sprinkles! 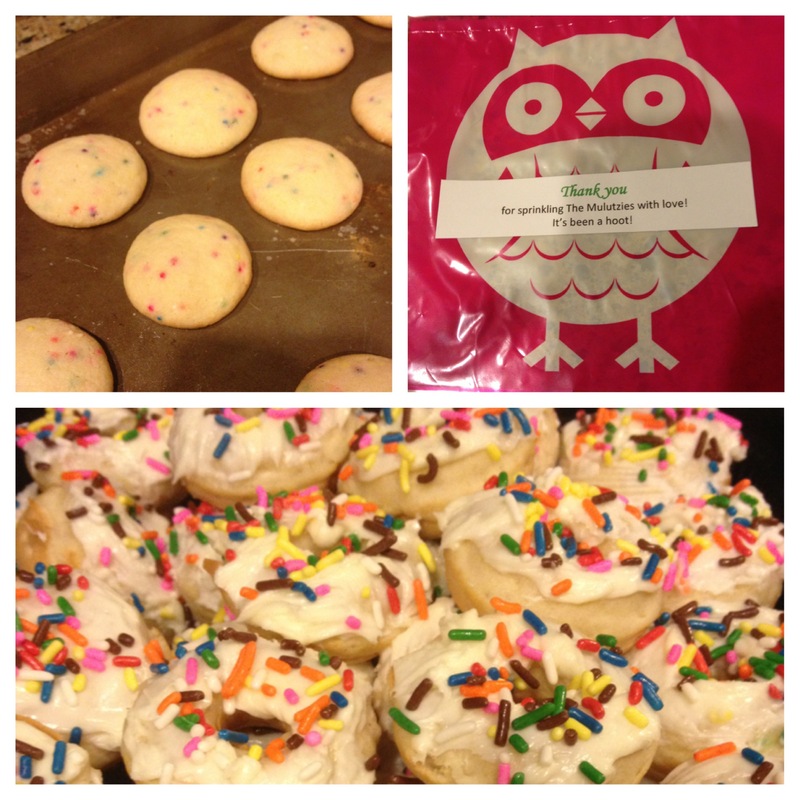 Sugar cookies with sprinkles and donut bites with sprinkles placed in owl sandwich bags from Target. 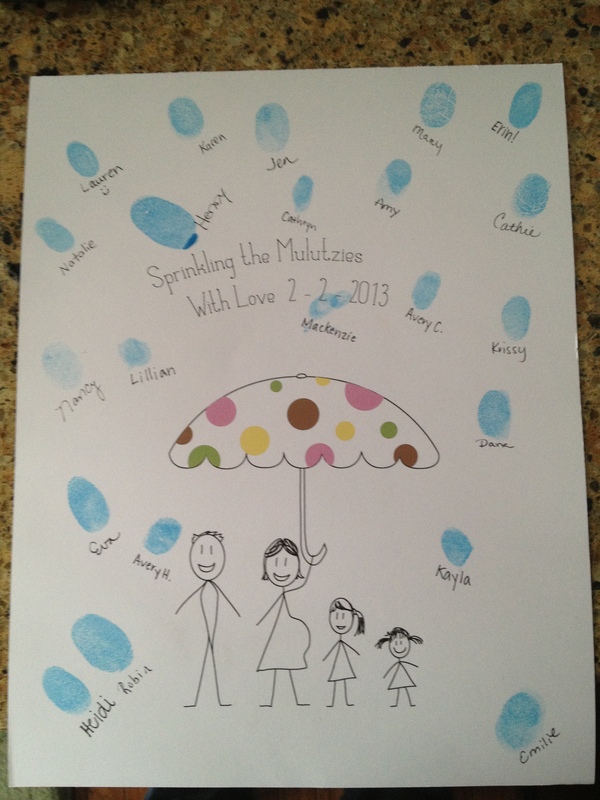 Sprinkling the family with our fingerprint “rain drops” as a guest book. Kevin designed the art work. The food spread. 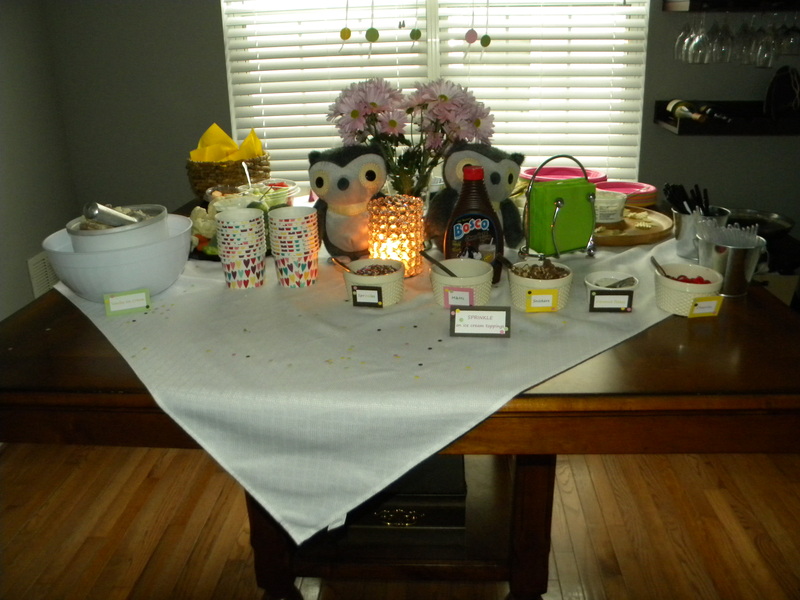 Hors d’oeuvres complete with an ice cream sundae bar to “sprinkle” on your favorite toppings! This entry was posted in Uncategorized and tagged baby sprinkle, sprinkled with love, twins on August 26, 2013 by caffreem.